Boutique first-tier law firm, Thynne + Macartney, is celebrating 125 years practising in Queensland this year. It is a unique milestone for Brisbane’s oldest law firm that is still trading under the original name over 125 years after they began. The Hon. Andrew Thynne and Sir Edward Macartney entered into a partnership on 1st March, 1893 with offices in Edward Street, Brisbane and today the firm has offices in the Riverside Centre, Eagle Street has had a long association with the political, commercial, and public life of Queensland. Throughout the early decades of the firm’s history, the founding partners divided their attention between public life and developing their legal practice. Thynne, the senior founding partner, was a distinguished member of the Legislative Council and Macartney was a member of the Legislative Assembly. Throughout its existence, Thynne + Macartney has established a client base that is very influential in the industrial and commercial development of Queensland. There are many organisations that the firm represented in its early days and continues representing to this day demonstrating the strength, stability and trust the firm has developed with its clients. The firm’s expertise has been accumulated across generations of Queensland lawyers. Peter Jolly, Chairman of the firm, explained that the firm has always remained a strongly independent Queensland-based law firm. “That was the case in 1893 and remains so to this day, it is the very essence of Thynne + Macartney,” he said. The atmosphere and layout of a legal firm’s office in the 1900s would certainly be different from the modern, open planned, technology driven environment of 2018, Mr Jolly added. “While the contrasts between the practice of law in 1893 and 2018 are numerous and vast, the key elements of any successful legal firm such as the quality of the advice, the character of the people, and culture of the firm virtually remain unchanged,” he said.  A key benefit Thynne + Macartney promote is the accessibility and responsiveness of its lawyers. “We believe that our current size and structure is a real advantage. It gives us great flexibility to respond quickly to the needs of the markets we want to service as well as individual clients. It also allows us to provide clients with access to some of the most experienced partners in their field in Australia,” said Mr Jolly. 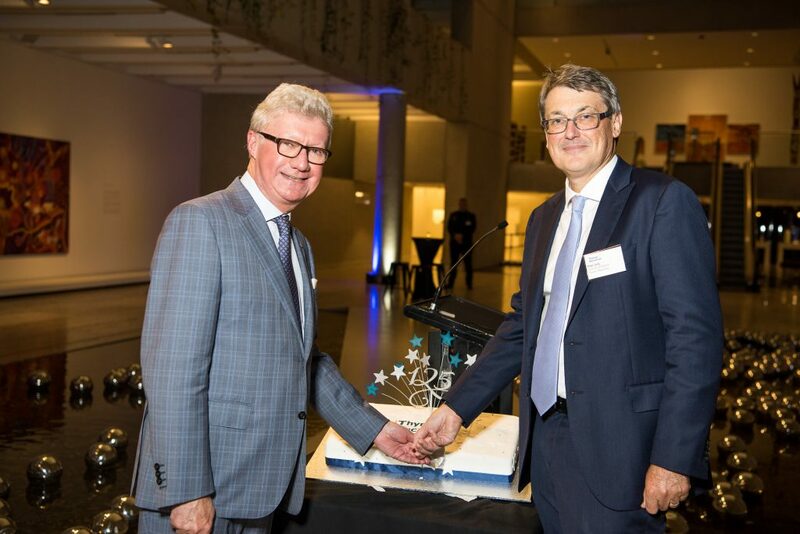 The firm celebrated its 125th Anniversary at a gala event on the 15th March, 2018 at the Queensland Art Gallery with over 200 guests including The Governor of Queensland, His Excellency the Honourable Paul de Jersey AC, Judges of the Federal and Supreme Court, Barristers, and clients of the firm. In his speech, the Governor noted that the 125 year legal partnership was extraordinary. “This sort of extraordinary phenomenon is built on nothing but excellence, integrity, quality of advice, legal and business acumen, and the assiduous building of a loyal client base,” he said. Thynne + Macartney continues to celebrate the enormous unbroken contribution made by the firm to Queensland and look forward to that contribution continuing for many years to come. Governor of Queensland, His Excellency the Hon. Paul de Jersey AC, (left) and Peter Jolly, Chairman of Partners, Thynne + Macartney. Something hidden. Go and find it. Go and look behind the Ranges — Something lost behind the Ranges. Lost and waiting for you. Go!